A couple of the Druid Faith wanted special rings reflecting their lives. Knowing Gold is not considered a metal associated with the Religion, they chose it because of what it meant to each other in a more personal way. 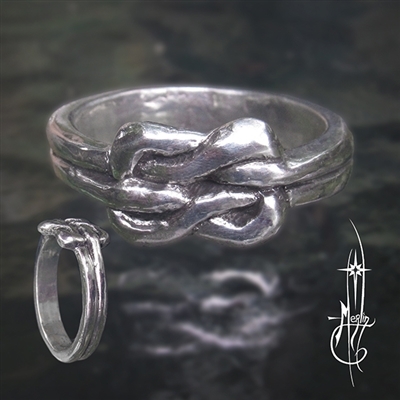 Her ring is a classic Celtic weave and the circle of life set in it’s tendrils. Each knot develops a weave which is definite and precise, yet has the fragility of fibers For Him I created a knot similar to hers; additionally I carved an Oak tree with the Moon breaking over it’s crown; the branches and roots extend into the surrounding design, bringing the knots to life. 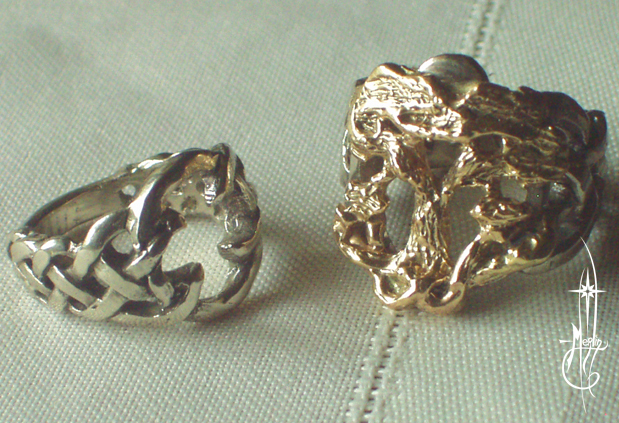 The Tree cast in yellow gold and set into white gold knot work. The Druid Wedding Rings were designed for very active people who work with their hands. 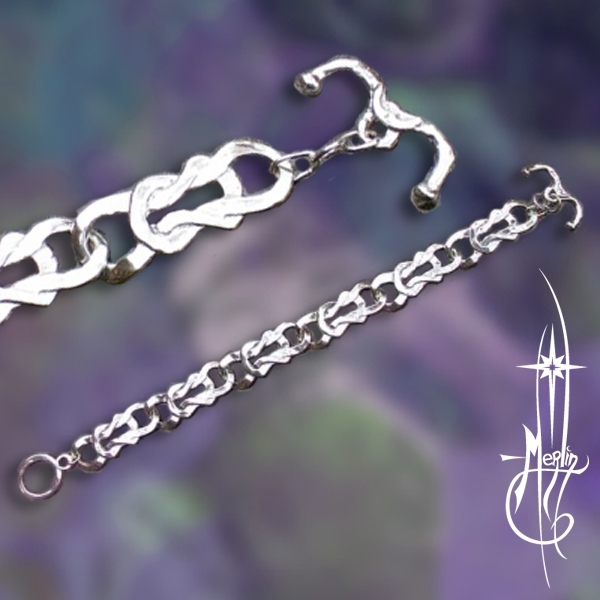 Thus the rings are heavy with bold design, textures which will hold up for many years and strong shanks for daily wear. 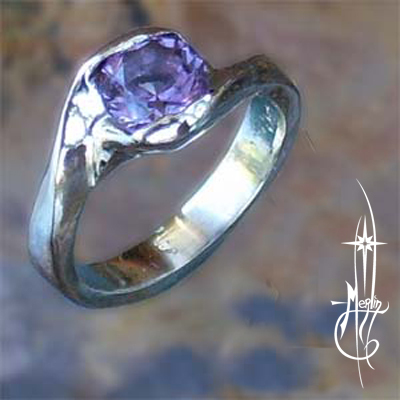 If you wish to have wedding rings made to fit your personalities, please see my How to order Custom page.